The room was on 4th floor and sea facing. 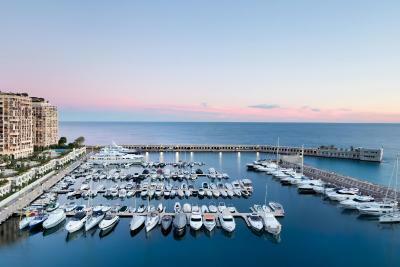 Excellent view, all yachts and sunrise and majestic Mediterranean sea. Beds were very comfortable so were the pillows. The breakfast was marvelous and only surpassed by the staff. You have wonderful and helpful staff with Sophia at the front desk great. Jeremy your driver was marvelous and helpful. A young man st the desk from Bulgaria, perhaps named Kira or Tira, was very restaurant savvy. The room was very clean and bed very comfortable. The staff was exceptional helpful throughout our stay. The views from the balcony was amazing. Thanks to the hospitality of the front desk staff Mr.Hristo. my friend & my room were upgrade to sea view. Comfortable bed, large room, great breakfast. Great location for access to the pier. Shuttle service provided to our ship. Very friendly staff. Nice sea view from the room 805. Hotell us very nice but due to the rebuilding and work on the premises noise and temporary solutions made the stay less cimfortable than expected. The view was amazing from the hotel, even if it was under construction. The bed was soft and the room was clean. The staff was eager to help with any of our requests. Excellent location and superb views. Large and comfortable bedroom. Excellent breakfast. 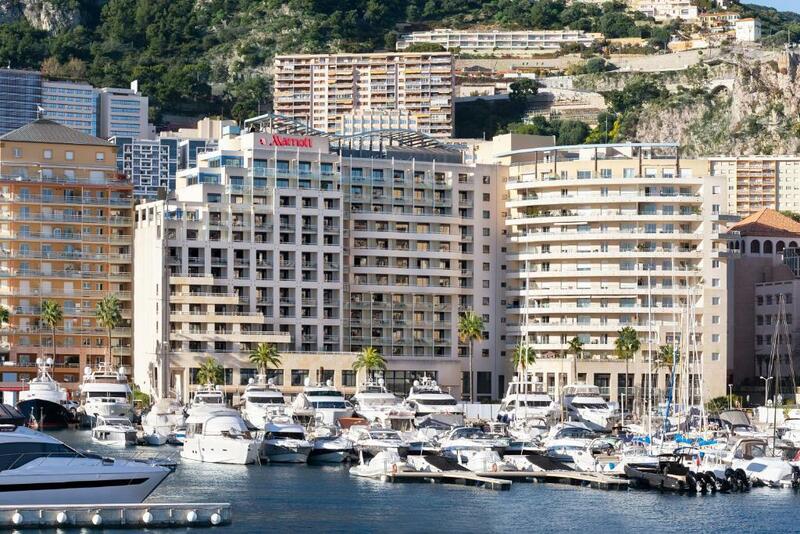 One of our top picks in Cap d'Ail.Riviera Marriott Hotel La Porte De Monaco is located beside Cap-d’Ail Marina,30 feet from the border of Monaco and 650 feet from Cap d'Ail beach, Riviera Marriott Hotel La Porte De Monaco is a hotel featuring an outdoor pool and fitness center. Most rooms have a private balcony and sea views. 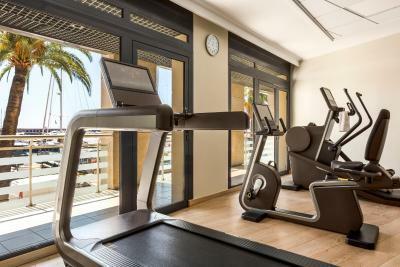 All air-conditioned rooms are equipped with a flat-screen TV, a mini-bar and tea and coffee making facilities. 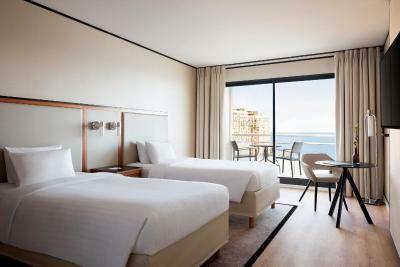 Each room includes wired internet access at Riviera Marriott Hotel La Porte De Monaco. The onsite restaurant "Le Cap" serves regional specialties. Brunch can be enjoyed every Sunday on the terrace or in the restaurant room with a view of the port. Guests can also enjoy cocktails in the Le Cap lounge bar. 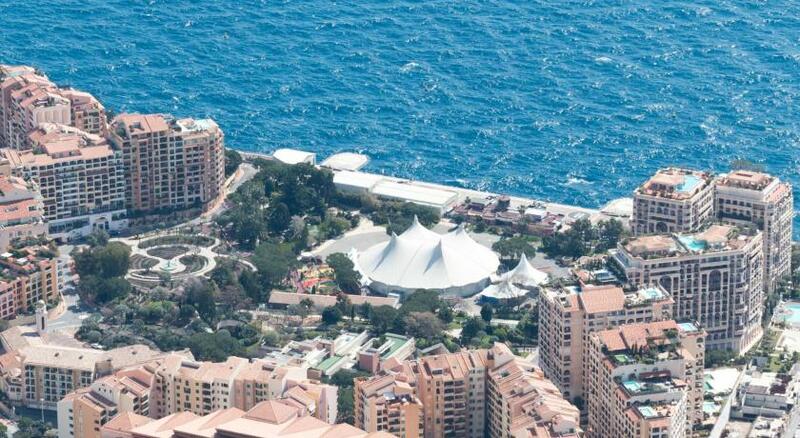 Monte-Carlo Casino is just a 5-minute drive from the hotel and Nice Côte d'Azur Airport is 16 mi away. 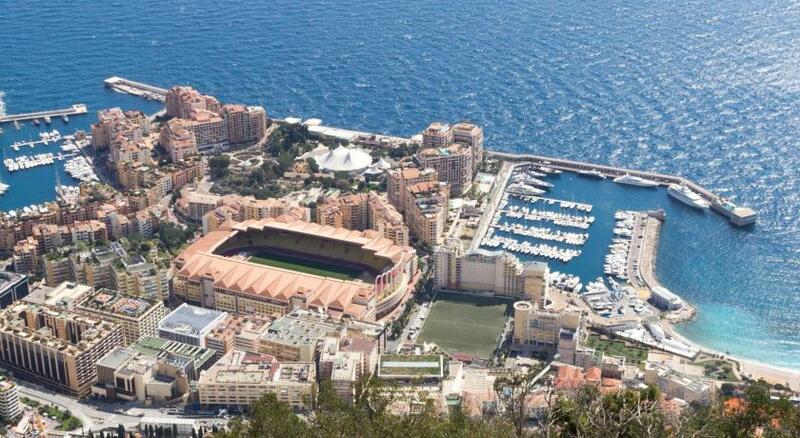 A free shuttle is provided to the center of Monaco. 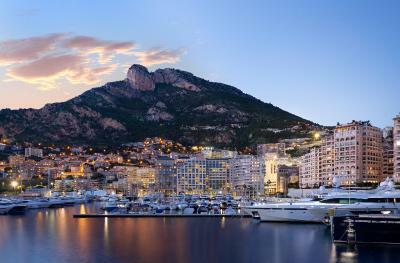 Monaco Héliport is a 2-minute drive from the property. 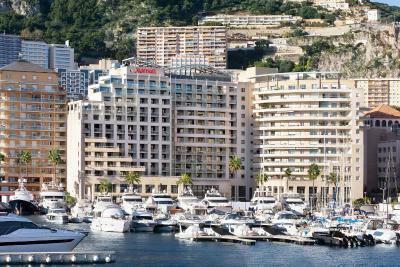 When would you like to stay at Riviera Marriott Hotel La Porte De Monaco? Offering mountain views, these air-conditioned rooms feature a flat-screen TV with satellite channels, high-speed Internet, and tea and coffee making facilities. An extra bed/baby cot is not possible in this room. Featuring a private balcony with views of the Mediterranean Sea, this air-conditioned room offers queen-sized or twin beds, a flat-screen LCD TV with satellite channels, high-speed Internet and a coffee maker and tea service. 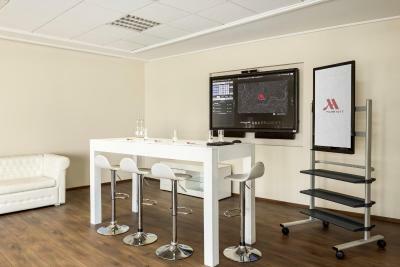 This room can accommodate 3 adults or 2 adults and 1 child aged 12 and younger. Children aged 12 and younger can stay free of charge. 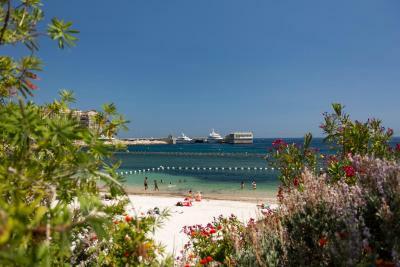 Children aged 13 and older or the third adult will be charged EUR 40 per night. 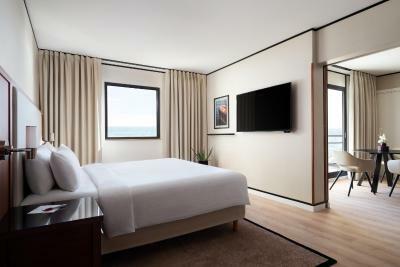 Featuring 2 queen beds, the family room offers a flat-screen LCD TV with satellite channels, high-speed Internet, a coffee maker and tea service. This room can accommodate 4 adults or 2 adults and 2 children aged 12 and younger. Children aged 12 and younger can stay free of charge. Children aged 13 and older or the third adult will be charged EUR 40 per night. 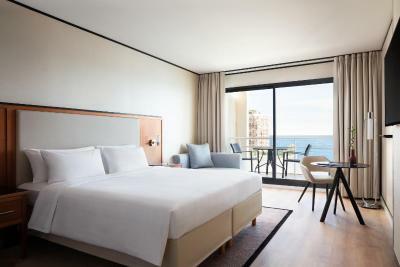 Featuring a private balcony with panoramic views of the Mediterranean Sea, these spacious air-conditioned rooms offer a flat-screen TV with satellite channels and pay-per-view movies. Free L'Occitane toiletries are provided. - A turn-down service each evening. 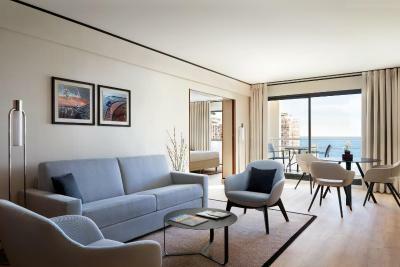 Featuring a private balcony overlooking the Mediterranean Sea, this air-conditioned suite offers a separate living area with a sofa bed and a dining room. 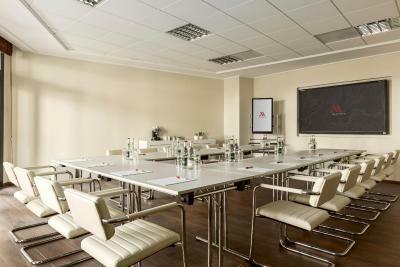 This suite features a soundproofing, seating area and air conditioning. Free L'Occitane toiletries are provided. This twin room has a balcony, mini-bar and seating area. This double room features a balcony, soundproofing and mini-bar. This double room has a seating area, electric kettle and satellite TV. This twin room features a balcony, air conditioning and mini-bar. 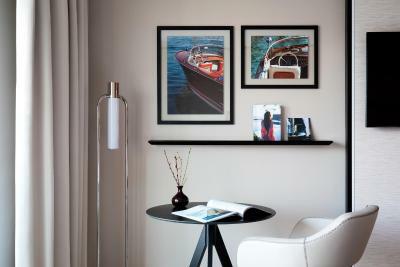 House Rules Riviera Marriott Hotel La Porte De Monaco takes special requests – add in the next step! 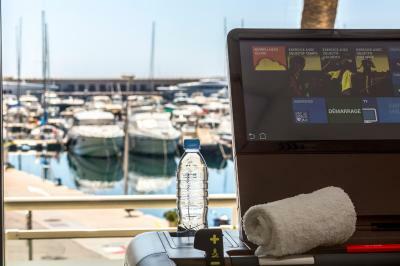 Riviera Marriott Hotel La Porte De Monaco accepts these cards and reserves the right to temporarily hold an amount prior to arrival. 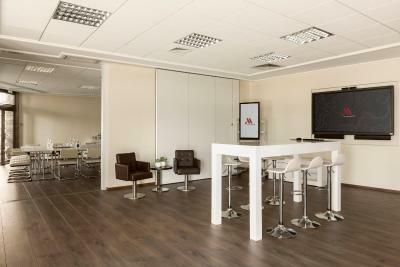 Pets are allowed for a EUR 25 extra fee per day. 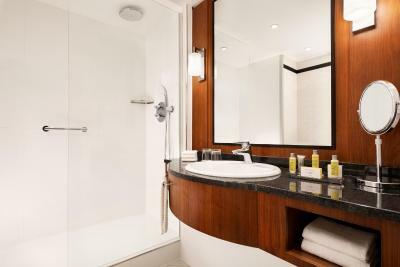 The hotel will be undergoing renovations from 1 October 2018 to 30 April 2019, involving the public areas and guest rooms. The hotel remains open during this time and the renovations will take place zone by zone to ensure your stay is not disturbed. The location bit far from the centre. There is a free shuttle until 10pm. There was a lot of construction going on in the hotel. It was mentioned at booking that there was works in the reception area but it is on every floor. The hotel is undergoing renovations. Although they are doing a good job to keep the place clean.. there was working noise starting at 8 a.m. Saturday morning. The room was newly renovated, unfortunately there was some strong smell of paint and/or glue. we got advised about the renovation and should have cancelled and looked for an other place. The hotel was under renovation, and there was no way to know this until we reached the venue. No dinner at hotel!! 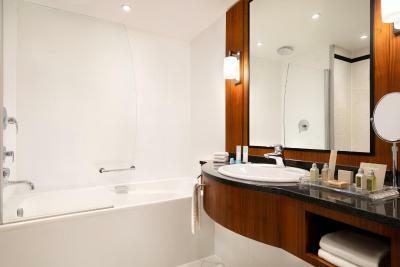 This is a four star rated property, and this did not have amenities like, minibar, dental kit or shaving kit. My first experience with a 4 star hotel without these!! House keeping is average at best, they did not even replenish water bottles!!! Breakfast was added at the time of check-in at a discounted rate of 15 Euros per person, I would say this was below average. The breakfast was often cold and they have mistaken our order twice. The entrance and parking weren't really obvious and we had some trouble finding it the first time. Rooms were very old design, furniture showed signs of long-time wear, carpets were stained and found hair on the bed. Hotel was actually under renovation. Internet was not free in rooms, only in common areas. Overall experience was far from a 4-star hotel . Everything happened as it should. No unpleasant surprises.